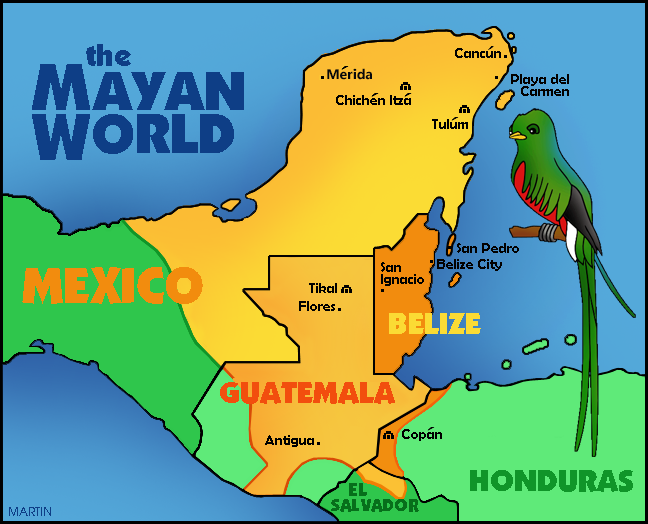 Travels into the Mayan World brought me to Mexico, Belize, Guatemala and Honduras. If you travel with your own vehicle (or take the right tours) there are so many Mayan ruins to explore! If you travel by public transportation (as I did), you have to stick with the main sites. Take heart, those main archaelogical sites were extremely wonderful! For more information on these sites, click on each country on the map above. !